The Web Components specification is an emerging collection of technologies that allows you to define encapsulated, custom HTML elements in front-end web apps. Web Components allow you to essentially create your own declarative API for defining UIs. In the case of errands, the repetitive task being eliminated is driving all the way from your house to some destination. The benefits of cutting out repetition in the "real world" are immediately obvious, and they're similar when writing code. Writing compartmentalized, reusable code is the best way to maintain code readability, reduce overall application size, and simplify debugging. The advantages of DRY in programming are crucial, especially when writing applications for the web. Writing compartmentalized, reusable code is the best way to maintain code readability, reduce overall application size, and simplify debugging. HTML Imports — This technology provides a way to encapsulate and reuse the base markup for custom elements. (This would typically work by storing an HTML template in its own file and importing it into an actual page.) This is the most contended piece of the Web Components spec, so be sure to check browser support before using it. While the latter three API categories mentioned above are designed to give Web Components more power, flexibility and development convenience, the custom elements interface is what actually enables Web Components to exist as custom HTML elements. Most of the APIs available for interacting with custom HTML components are available via the CustomElementRegistry abstraction. Essentially, the browser keeps a running list of custom HTML elements that you specify based on their name and the code that enables their functionality. It's worth noting that these are the two primary components that make up any Web Component. Registration in the CustomElementRegistry enables declaration of a Web Component via markup, and the code behind is what actually gives that component functionality. The CustomElementRegistry also provides some utility functions for looking up constructors based on Web Component names and for receiving notification when specific custom element names are registered. Although the Shadow DOM APIs aren't a requirement for creating Web Components, they constitute an extremely powerful tool for encapsulating logic and scoping customization to individual custom elements. Shadow DOM works exactly the way its name suggests, by creating a separate DOM tree in the "shadow" of the custom element to which it's attached. Thus, shadow DOM provides native functionality that you can use to create true components with locally scoped styling, DOM element selection and more. Even though it's not a vital API for creating custom elements, it's probably one of the most powerful features of the Web Components specification. When the custom element my-element is rendered, the <slot> tag in the HTML template will be replaced with a <p> tag with the specified content. This is an extremely powerful way to create reusable markup for custom elements without sacrificing customizability. I won't go into too much detail on HTML imports because it's the most contested portion of the Web Components specification. Google first proposed HTML imports as a solution to organizing HTML templates into their own files. Many browser vendors disagree on the implementation (and need for) this aspect of the technology, however. Since <template> elements are not rendered in the browser, it would make sense to separate these templates into separate files on a per-component basis and load them all when the page itself loads. That being said, because of the debate surrounding this topic, for now it's probably best to simply declare your HTML templates in the page where they will be used. The best way to truly understand how useful (and plain cool) Web Components can be is to see one in action! Let's walk through the typical steps taken to create a Web Component. As an example, we'll build a very simple, reusable timer. Next, we need to add the actual timer functionality to the CoolTimer Web Component. Just like components in React or Angular, Web Components have specific lifecycle hooks we can use to drive our functionality. The two we'll be using in CoolTimer are connectedCallback and disconnectedCallback. These two hooks are called when the component is connected to the DOM and removed from it, respectively. You can easily implement these (and any other Web Component lifecycle hooks) as methods in your class. This code simply sets up a function that runs every second to increment the running timer and update the DOM element that shows how much time has elapsed. To avoid unnecessary function calls and guarantee DOM access, we only set up this interval when the component is connected, and we clear it when the component is removed. Now that the CoolTimer Web Component has a template for layout and a class for functionality, we need to tell the browser how we're going to declare it. You can register Web Components via one simple call to CustomElementRegistry API interface which is surfaced as the global variable customElements in modern browsers. The first argument to this call is the name of the custom element, and it's also how we will declare it in markup. The second argument is the element "constructor" which is an ES6 class in our case. An optional third argument can be passed to define() when creating custom built-in elements. 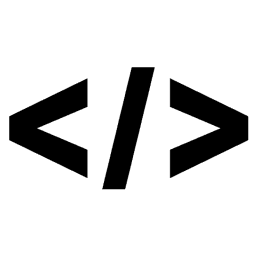 These are components that extend native DOM elements like <div> or <p>. Our custom element is autonomous, meaning it only extends the base HTMLElement object. If you reload the page, you should see updated description text below the timer. Also note that the <p> tag outside of the Web Component instance is unstyled, illustrating the scoped nature of shadow DOM. Another interesting syntactical feature is the slot attribute. This is what matches up to the name given to the <slot> element in the component template. The tag type used (<span> in this case) can be whatever you'd like to place in the specified slot. An important consideration when using the Web Components spec today is browser support. The pieces of the API we used in this article are fully supported in Chrome, Opera, and Safari. Firefox has experimental support that can be enabled with flags, with full support slated for this year. The Edge team is actively working on providing their own implementation. You can view a more thorough summary of current browser support for each technological piece of the Web Components spec here at caniuse.com. Without a doubt, the Web Components specification is going to play a large role in the evolution of front-end web applications in the near future. The Accelerated Mobile Pages (AMP) framework is built using features of Web Components, and large companies are investing in tooling for the technology, such as Google's Polymer framework. With more and more tools, including our own Wijmo, adding support for Web Components-based implementation, be on the lookout for more apps leveraging this new technology. In our series of articles relating to Web Components, we offer an introduction and practical usage for Web Components and discuss how to make Web Components accessible. Learn more about shadow DOM and how to build your own Shadow Elements here. Thanks for reading, and as always, be sure to reach out with any questions! Follow GrapeCity’s blog page for new webinars, demo videos, industry news, and more. Christian Gaetano is a full stack web developer from Pittsburgh, Pennsylvania. Transitioning to the technology sector after graduating from Duquesne University with a biochemistry degree in 2016, he worked as a freelance web developer creating dozens of personal and corporate websites and the Node.js package Rediserve. 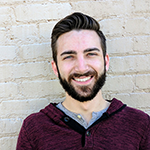 Christian currently works at GrapeCity, Inc. where he strives to improve developer experiences as a technical support content writer and member of the website development team. Find him on Twitter at @cgatno.